His day–at 8am!!! No kidding, 3 nights in a row!!! Am I lucky or is this normal???? I think he’s special and one-of -a-kind!!!! We love him!!! He has a wonderful appetite, (normal stool), loves to play, acts like he’s lived with us forever, loves to cuddle, and chases us around the kitchen island. We don’t let him do too much, but still has a fun time! Have a Happy New Year and I’ll be sure to keep you updated! 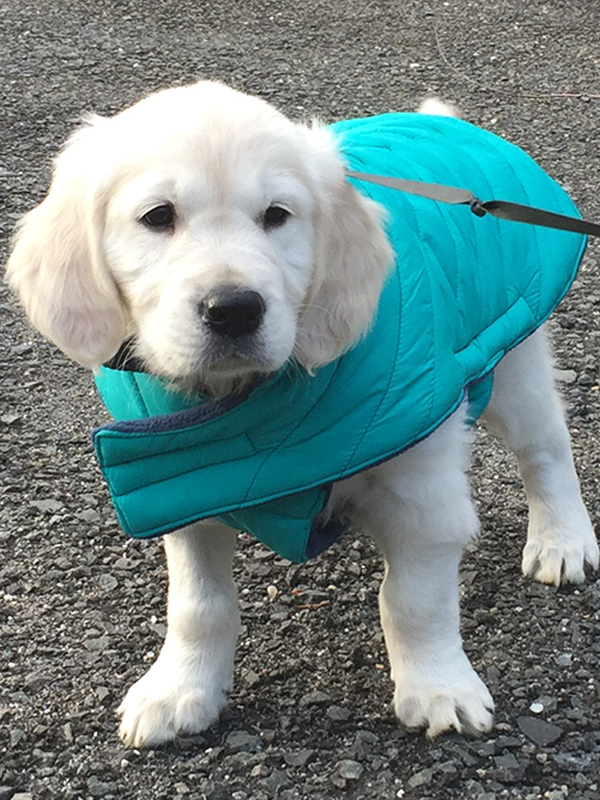 “Dozer,” born to icewind kennels, our english cream golden retriever puppy, has more than stolen our hearts…! and i cannot say enough about icewind kennels…except for having the highest praise and highest recommendation that you could ever give any one. First of all, we were warmly welcomed to the kennels by its owners, karen and anya. right away we were very comfortable and confident in the way the puppies were treated and gently handled. you could tell how much karen and anya loved each precious puppy from the litter and they already recognized the puppies individual personalities as well. I told karen and anya that i was looking for a very special puppy, one of whom was very emotionally strong, physically very healthy, and highly intelligent. however, it was extremely difficult to choose one puppy from the litter as really all of the puppies possessed all of these qualities. my reason that i was so fervent about my selection was that my husband is a quadriplegic and needed a dog who understands the difficulty he has daily and thus responds to him in a careful but attentive way. 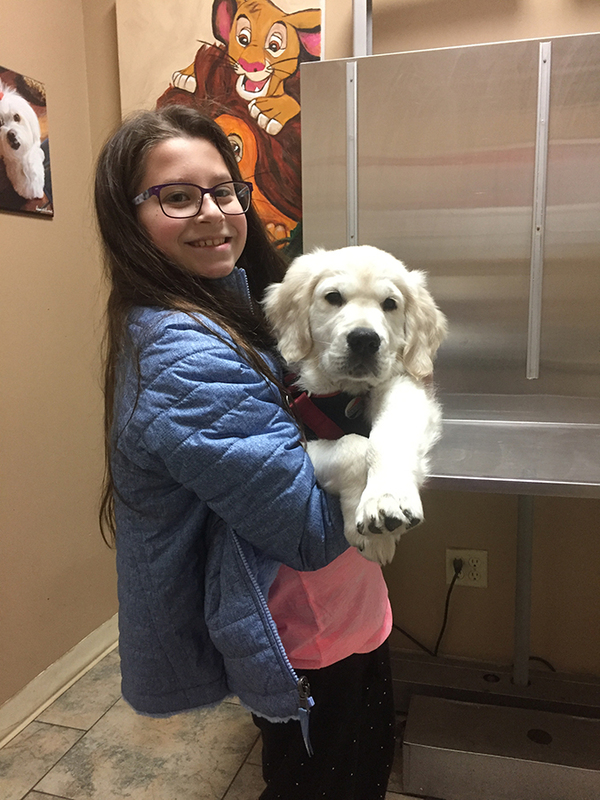 conversely, my sensitive 10 year old daughter, who has adhd, needed an enthusiastic “fun” puppy that could keep up with her, make her laugh with his antics, and make her know that, at last, she had a loving “brother” that she could trust with her “up” and “down” feelings. I owe all this happiness to karen and anya. first of all, they choose the parent dogs with studied compatibility to ensure the best possible quality puppies from a litter. secondly, from our first visit, after deciding to have an icewind puppy, we were sent “portrait style” photos of the growing puppies, followed by adorable individual pictures. 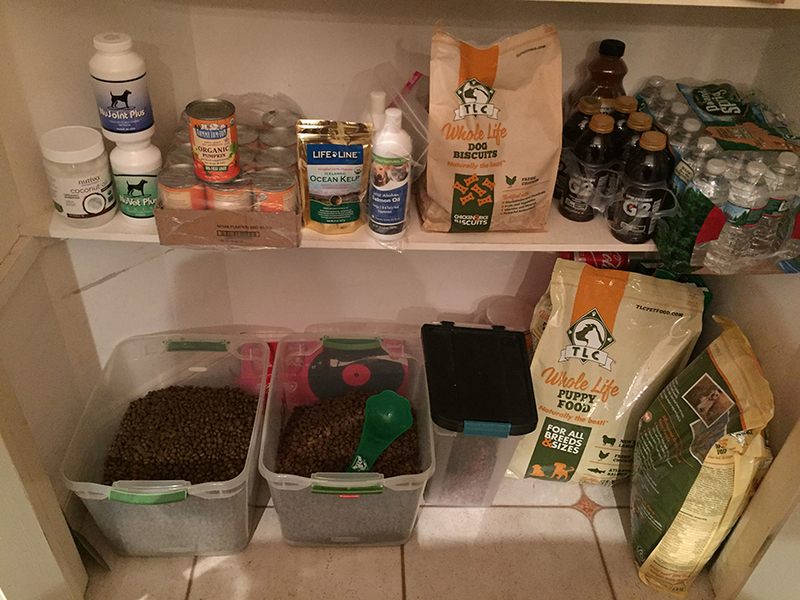 third, we received numerous emails on nutrition, vitamins, shots, spaying/neutering, tick/flea prevention, and exercise, even before bringing our puppy home. appointments to see the puppies were punctual, informative, and personal, with as much time seeing and holding the puppies as you wanted. and last, dozer was sent home with a huge care package and instructions. this will be hard to believe… but on the first day home, 8 weeks old dozer, slept through the nght, knew his name, and hit the puppy wee pads almost every time…!!! To this very day, icewind kennels continues to send us informative emails and requests updates on how dozer is doing. icewind kennels obviously really cares even after a puppy is adopted. Some day, when dozer is older, we would like for him to take therapy dog lessons. mikenzie would like to take him to hospitals to cheer up lonely and ill patients. this aspiration would be a meaningful experience for mikenzie and good “work” for dozer. 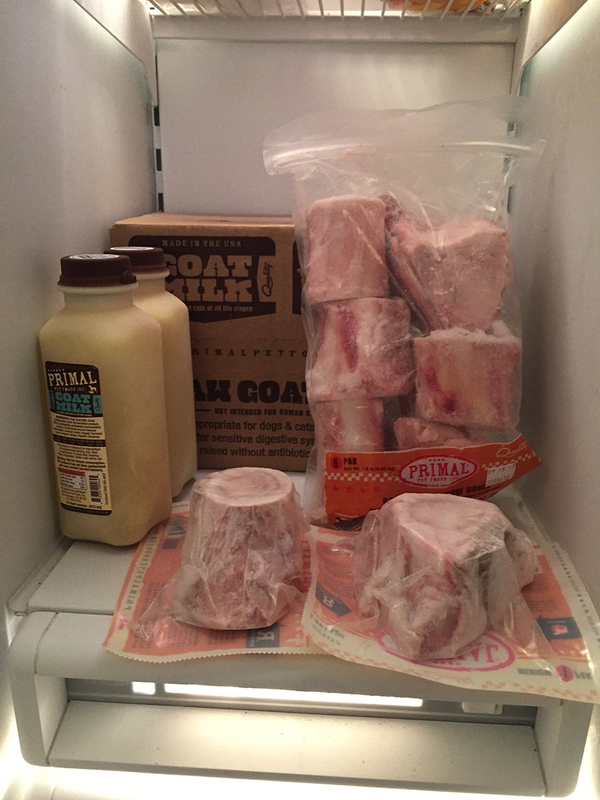 What more can i say about icewind kennels and the exceptional puppy i have from karen and anya…! READY FOR OUR NEW PUPPY!! !